Genesis Country Estate is a luxurious and private setting for families, friends, reunions, church retreats, wedding parties, corporate outings, concerts, and more. Genesis is situated on 7 acres and is surrounded by 600 acres of Arcadian countryside. 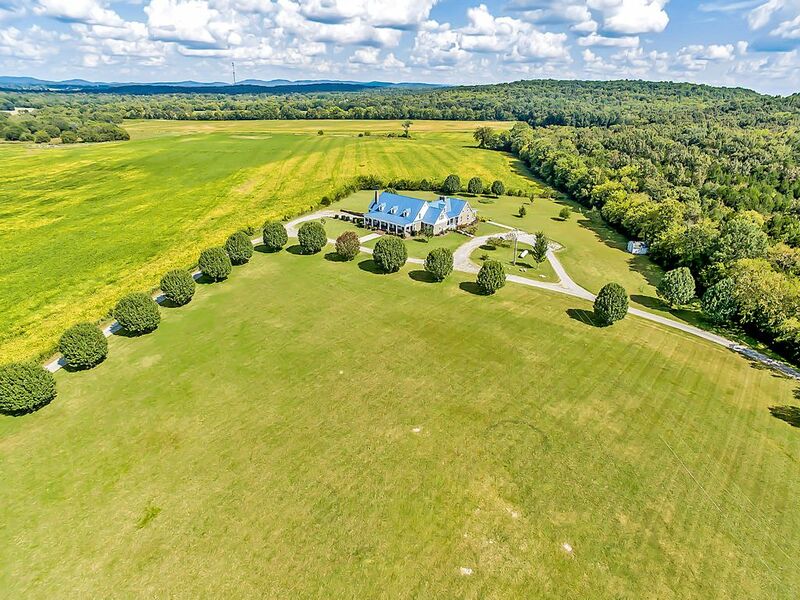 Enjoy the bounty of country living in this 10,000 sq ft. luxury farmhouse. Originally a healing center, Genesis provides an elegant, relaxing environment with 9 spacious bedrooms, 8.5 bathrooms, including a spa room with Jacuzzi, 4 private living rooms with fireplaces, a gym, and a heated salt water pool. Watch deer graze from the wrap-around porch as you sip hot tea, practice yoga in our reflection room, or hold a karaoke or pool tournament in the recreation room. If you are interested in Spa Services, Massages, or Facials, please let us know before booking. The owner is an experienced and renowned holistic wellness specialist, who would love to share her practice with you when available. • Washer/Dryer — The laundry room is located on the first floor in the basement area. Please let us know if you will require additional house cleaning services before booking. Additional cleaning fees and deposits are required for EVENTS & WEDDINGS. Additional fees for Holidays. All bookings include a 14.9% fee for state and local taxes. I am a mother of 5 daughters and 16 grandchildren. I am a cancer survivor of 25 years. Following the passing of my father to esophageal cancer, I founded Genesis Healing Center in 2004. Born out of this experience, I have dedicated my life to helping others attain optimal health with an emphasis on natural healing. Professionally, I have over 15 years of experience in the field of holistic healing. I have multiple certifications as a health and wellness instructor, and I teach from a biblical perspective. I currently travel within the U.S. as well as internationally with a focus on the corporate health. I am available for speaking engagements & personal health consults for an additional fee. If you are interested in spa treatments, a day of beauty & restoring health...You have the right place. I bought this property to use as a residential healing center and dedicated it to my Dad. Living here over the past 13 years has brought great joy to my life and consequently, I have decided to share my home with others. It is an extremely peaceful property and has a natural calming effect on those who have visited. I hope you will enjoy your stay at Genesis Country Estate and experience the same love and peace it has brought to me. It is possible for a ramp to be put in. My softball team stays here when we travel to Murfreesboro. It is convenient to the park where we play. The house is perfect for us as we just spread out and act as if we are home. My team loves it! This house was perfect for our large group! The kitchen was well stocked and the oven’s worked perfectly. Brenda and her property manager were quick communicators and very helpful. The property was beautiful and spacious. The area is great! Highly recommend! We took a group of 28 girls to this beautiful estate for a 'Girls Retreat Weekend'. They loved the spaciousness and comfiness of the rooms! There are a few things that you should know from an organization side. Kitchen: Though there are 3 ovens on site; only one of them worked well for us. The commercial oven had a tilt that made it hard to use for certain items. We were able to heat bread in it but couldn't cook lasagna. There's also a double oven but since there were only 2 racks we could only use one of them. There are 2 sinks but only one worked. There are lots of pots/dishes but few large enough to cook or serve for that big of a crowd. There's little storage area in the kitchen, the garbage bags provided are very small/thin, and there wasn't much toilet paper provided. I found the heater for the master suite very hard to regulate. The temperature was set very low. Once turned up, it never stopped blowing hot air and then cold air. I didn't sleep at all the first night as I burned up then froze. Also, it would be good to have some instructions for the pool. The girls wanted to swim but couldn't figure out easily how to set the temperature. The initial temp said it was 80 degrees but it was very cold. If they had known that they needed to increase the temperature, they would have been able to enjoy the pool. It also would have been nice if there was dry wood for the fireplace. We are happy you enjoyed your stay, yet we apologize that things were not completely as you expected. We do wish you would of reached out to us during your stay so that we could have handle these concerns immediately. We are never far from the site just so we can help our guest with any questions or concerns. We do allow different events at our property and we understand the not everyone one is familiar with commercial appliances. The commercial oven may be tricky if you’re not accustomed to using one, but the racks can be separated. With the commercial sink, the second sink, you must turn the handle that controls the nozzle, before the water will flow out of the faucet. We would of loved for you to call us so we could of easily talked you through using them. We apologize for the inconvenience this brought you. We try to accommodate for guests of different styles with an abundant supply of various dishes, pots and pans for guests during their visit so they do take up some space and we always supply and use Glad trash bags. Our policy is to supply two rolls of toilet paper per bathroom. Yes the pool is heated but since it was November it did need to be adjusted a little. Most guest don't use the pool during the colder month since it is outside. However, if you would of let us that you wanted to use the pool we would have adjusted the temperature for you before your stay. Also, we would of loved for you to call us and we would have came right over to adjust it or would have walked you through it. As well as the temperature in the home. With that being said, we do appreciate you staying with us at Genesis and leaving a review. It allows lets us know where things are great and where we might need to improve. We hope to see you again. Just remember we are only a phone call away and we are ready and happy to help whenever we can. Have a Happy Holiday. We had a reunion of friends from all over the country meet here and had so much fun while never leaving the property! The large house was super fun for kids to explore, play hide & seek, and be in the wonderful pool all day. Brenda's communication is fantastic and the whole house is incredibly welcoming with a positive energy to it. My only minor complaints are the dishwashers don't work well and the ovens could use repair. But aside from that, I would recommend the stay to anyone! We loved staying at Brenda Lee's place during our family reunion. We had 12 adults and 2 children and had PLENTY of room. Nice size kitchen and plenty of spaces to socialize in big and small groups. We had a great time in the pool and just lounging on the porch. We ate almost every meal at the big double picnic table outside! This is a great place for a large group and has plenty of space -- inside and outside! The house is not kept up to be safe and ready for visitors. The owner lives there and has clutter in every room; piles of things in different rooms. Unfinished Projects all over the house, floor boards poking up upstairs and down, exposed electrical sockets, bee infestation on the porch, many pans and dishes were dirty, part of the kitchen stove doesn’t work. One of two dishwashers do not work, Outside grill is broken. The sinks don’t drain properly, stains on the sheets and towels. Grass was not cut prior to arrival. Told after check out that I will be charged for additional fees that were not discussed prior. Genesis is all inclusive. Previously used as a wellness (healing) center, There is a resource room with full gym, pool table, karaoke, in ground heated salt water pool, etc. We have a library of health & wellness books & videos. We can provide a chef for an additional fee. Limo & party buses available.